Rock band Foo Fighters have become one of the first artists (as far as we know) to work with Spotify on a marketing campaign targeting their top listeners on the music-streaming service. Some of those fans have received an email titled “A personal thank you from the Foo Fighters and Spotify” encouraging them to enter a competition to win tickets and merchandise from the band, as they tour the UK. “You are receiving this exclusive email offer because you are one of the Foo Fighters top listeners on Spotify,” explained the email. Fans can click through to enter the competition. It’s one of the first examples we’ve seen of Spotify working with an artist to not just identify their top listeners, but to send those fans an email: albeit – PRIVACY KLAXON – seemingly taking care to do it from Spotify rather than handing the fans’ email addresses out to a third-party. Some labels and managers have been encouraging Spotify to tap its data to help them do direct marketing campaigns aimed at artists’ keenest fans. For example, the topic cropped up at the Great Escape conference earlier this year. “It would be nice for the streaming services to give us a little bit more access to the fanbases we’re pushing their way,” said Cooking Vinyl’s Sammy Andrews during a debate on streaming and marketing. 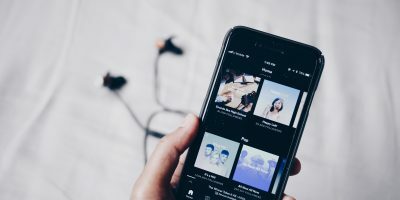 At the time, Spotify’s Will Hope – who was on the same panel at The Great Escape – suggested the company was wary of doing anything that would annoy fans, but suggested it was working on the idea. “On the one hand users probably wouldn’t be thrilled if you started throwing emails their way. There’s data protection stuff. But creating more channels to talk to them? Yeah. It’s just beginning: there’s loads more to do… That ability to talk to people and know better and better what they’re about? That’s what we’re building towards,” said Hope. 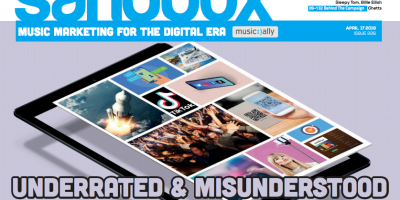 Further reading: What if Spotify followed Facebook and unbundled its big green app?